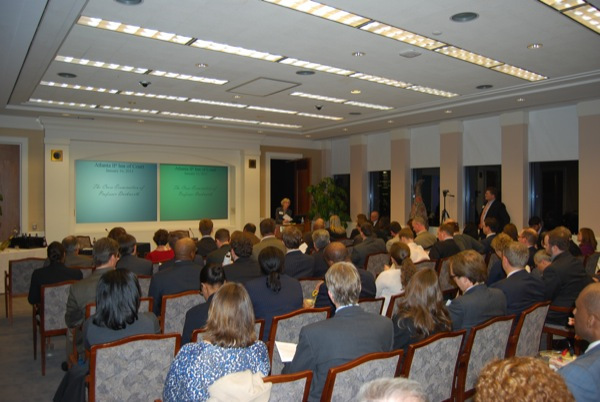 The Atlanta IP Inn of Court is gearing up once again in the New Year! 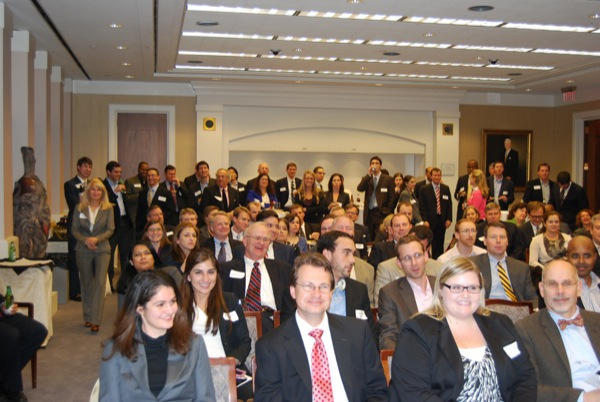 Our next meeting is Wednesday, January 16 at Troutman Sanders. The program will discuss and demonstrate effective cross-examination techniques. Reception is 5:30 to 7 PM, and program from 7 to 8. Members, please respond to the calendar invite when you receive to help plan the food and drink. Program Title: "Cross-Examination Techniques: A Skit Based On Actual Cross-examinations"
If you drive, please park under the building and bring your parking card to Troutman to have it validated. When you enter the building lobby, see security for a visitor pass and proceed to the 52nd floor. The reading materials for this event are avialable for download here. The PDF contains an index of the articles and portions of trial transcripts that were discussed or referenced in the skit. The materials themselves follow. You can also download the script and slides from this program.